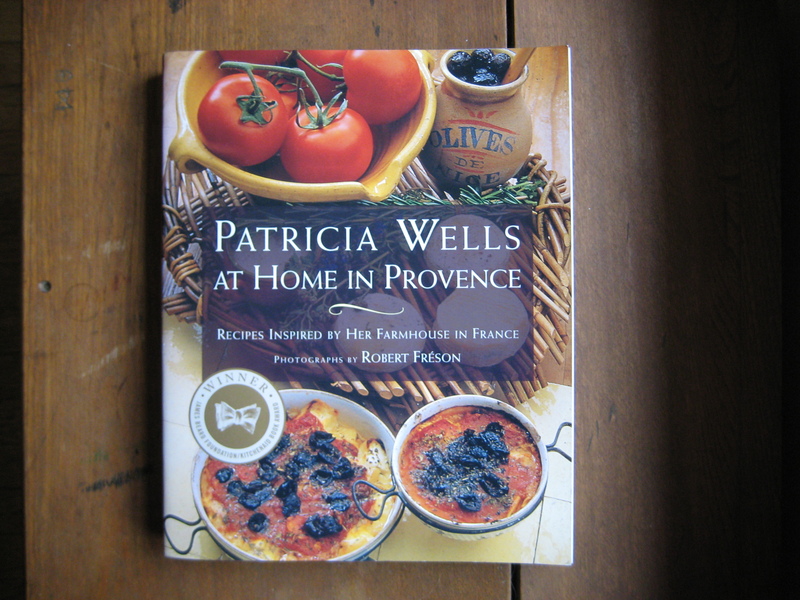 from Patricia Wells At Home in Provence, pp. 144-5. One of the pals helping with Shadowcook, Ann, calls recipes like this ‘grub.’ She means it in the best way. Any dish that’s deep and rich in flavor, stew-like, and easy to make constitutes grub. I made a few substantial changes the first time I made it: the day I run out of my own chicken broth and my own Marcella’s tomato sauce is the day I’ll follow Patricia’s recipe to the letter. Until then, I’ll make it my way. But don’t be put off from following it by the book, especially if you’re used to making risotto and making risotto with your own broth. It’s the same technique. Making this dish, however, taught me a new lesson. The smell of uncooked pasta toasting golden brown in olive oil resembles very closely that of pie dough baking in the oven. So, it’s worth drawing out the process of the initial browing of the pasta in oil. The aroma slays me every time. 1. In a large saucepan, heat the stock and keep it simmering, with barely an occasional bubble, while preparing the pasta. 2. In a heavy skillet large enough to hold all the pasta (it need not be in a single layer), heat the oil over moderately high heat. When it is hot but not smoking, add all the pasta, stirring occasionally until the pasta begins to brown lightly around the edges, 3 to 4 mins. Season with salt and add all the tomato paste and the rosemary, stirring constantly until the pasta is evenly coated with the sauce. Slowly add a ladleful of stock, stirring until most of the liquid is absorbed. Adjust the heat as necessary to maintain a gentle simmer. The pasta should cook slowly and should always be covered in at least a light film of stock. Continue adding ladlefuls of stock, stirring frequently and tasting regularly, until the pasta is tender and firm to the bite, about 17 mins total. Add the red pepper and vinegar and toss. Taste for seasoning. Add about half the cheese and toss to blend. Serve immediately in warmed shallow soup bowls. Pass a bowl with the remaining cheese to sprinkle over the pasta. I halve the proportions, since I most often make this for myself. I don’t use tubular pasta. And frankly, I eyeball the amounts as I would in making a risotto. The first time I made this recipe I broke spaghetti into inch-long pieces. Thereafter, I have always used a variety of short, spaghetti-like pasta. I also cut the amount of oil. Even 1/4 cup seems a lot to me. Instead of the tomato paste (and I would only use the best if I did go this route), I added half a cup, maybe more, of my fresh Marcella’s tomato sauce that I thawed in advance. The pasta browns very easily in the oil. That’s when the smells are fantastic. I add much less stock to the pasta than I normally add at one go to arborio rice. I like this dish because you don’t have to keep stirring as you do risotto. I let each small ladleful evaporate before adding more. I noticed, too, that achieving a perfect al dente is far easier this way than it is in boiling water. Otherwise, I follow the recipe as it is. Last thoughts: This is certainly a winter dinner. One friend whom I fed with it claimed it tasted like haute cuisine Chef Boiardi — with all that that implies. I took it as a compliment. Comfort food at its best.